ISO 9001:2008 & API Q1 Spec for Steel Tanks - Superior Tank Co., Inc. Recently Superior Tank Co., Inc. passed our annual re-certification audit for both the American Petroleum Institute (API) Q1 and ISO 9001:2008 certifications for design and manufacturing of bolted steel storage tanks. These prestigious certifications relate to above ground oil storage tanks and water storage tanks and are a result of years of hard work. The certifications reassure our customers they will receive the highest quality steel storage tank delivered on time. During the annual audit, numerous aspects of our tank manufacturing process were reviewed including sales ordering, bolted steel tank production and ground storage tank installation. The audit team confirmed Superior Tank employs processes and procedures as specified by ISO 9001: 2008 QMS Certification. In addition to compliance with ISO 9001: 2008 QMS Certification, STCI has earned re-certification with American Petroleum Institute (API) Spec Q1. API Q1 Spec works in unison with the ISO 9001: 2008 QMS Certification and focuses on the API12B Standard and the accurate and responsible manufacturing of products used in the petrochemical industry. The API Q1 Spec also includes additional elements of quality management systems such as risk assessment and risk management procedures which is critical for the petroleum industry and the focus on safety. 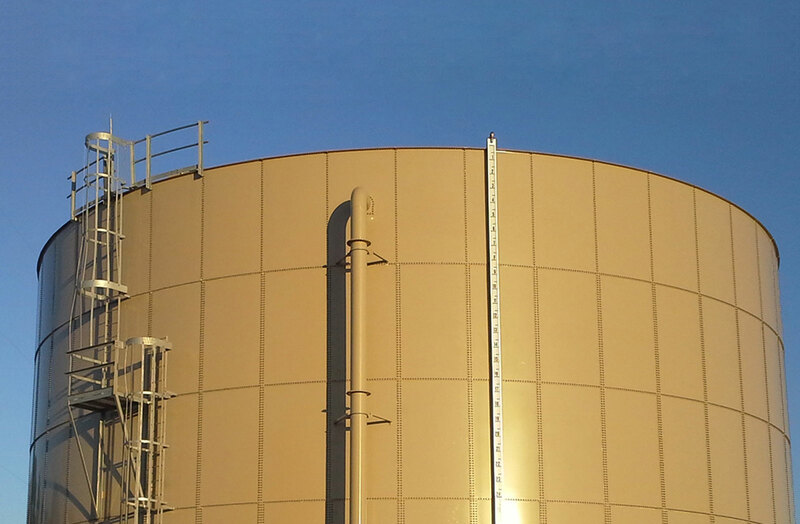 STCI engineers all above ground oil storage tanks to customers’ needs and the tank can range from 100 to 47,000 BBLs. All of our bolted steel storage tanks feature panelized design which significantly reduces construction time to 1/3 of tank designs thereby saving customers time and money. As the panels quickly assemble using high strength bolts, no welding or other hot work is required which reduces risk of fire. The smaller panel size is perfect for tank installation within an existing facility as large clearances are commonly not needed. The heavy duty gasket seals panels together and provide decades of leak free service. STCI custom manufactures tank fittings and piping per project specifications to ensure optimum tank operation. In addition, STCI is one of the few manufacturers providing API 12B bolted steel tanks designed for oil storage. Superior Tank utilizes both standard and premium powder coating such as Scotchkote by 3M which is specifically tailored for corrosive environments such as oil storage and brine water storage. All of our powder coating is electrostatically applied at the factory resulting in 100% coverage without holidays for outstanding corrosion protection. Complete bolted steel tank kits are shipped directly to the job site via truck and international shipments are transported via ocean container to protect tanks during long voyages. Our ground storage tank installation teams based in California and Texas provide tank erection services throughout North America. 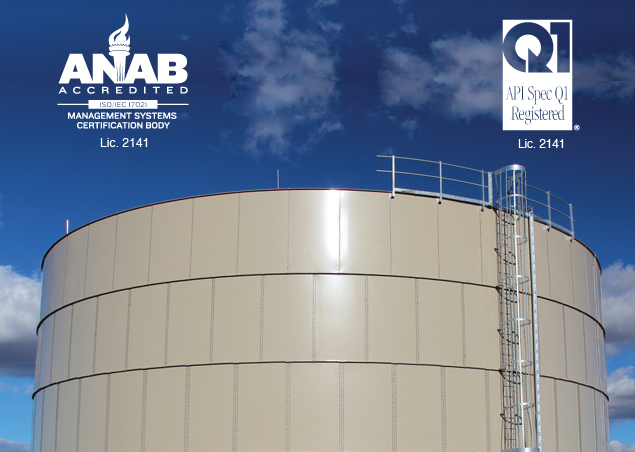 In addition to API Spec Q1 and ISO 9001:2008 certification, Superior Tank has also earned FM Approvals on our water storage tanks used for fire protection. At Superior Tank, we engineer and manufacture quality and precision into every Tank!